Back Finally A “Real” Game! Agreed on all counts except starter length. Our big 3 all throw a lot of strikes, so despite pitch counts, I bet we’ll see them go 7+ quite regularly. Well I love this kind of thing. For 2 out of the last 3 years I came within a win. Last year I sold them far too short (6 wins off). So here you go. 101 wins. I’m much in line with some of your thinking, but am more bullish on some of the positives. I wlll see your +2 on Matz, and add 2 more. I’ll see your +1 on Wright, and add another. Ditto for Cespedes, Ditto for Walker. I think you’re right on about Conforto. I’m also expecting some regression to the norm — so I’m shaving off 3 wins for Granderson coming back to baseline, another for Familia, another for Duda. Nothing against these guys….but I just think they won’t repeat at quite the same level. I’m going to go plus 1 on Harvey as well. Year 2 coming back from TJS is going to goose him a little bit. I love your boldness, Gregg. And it certainly rewarded McKee last year. I say 92 wins. Very concerned about offense from the corners. The Metropolitans need to be a 4.75 to 5 run team to compete with the NL elite. My fear is that they are a full run south of that. Jimmy D. I agree with you about our infield corner offensive vulnerabilities. I do believe, they can reach the 92 victories with slightly north of 4 runs/game. Pitching is not good. It is almost beyond great, top to bottom, baring injuries we get there. 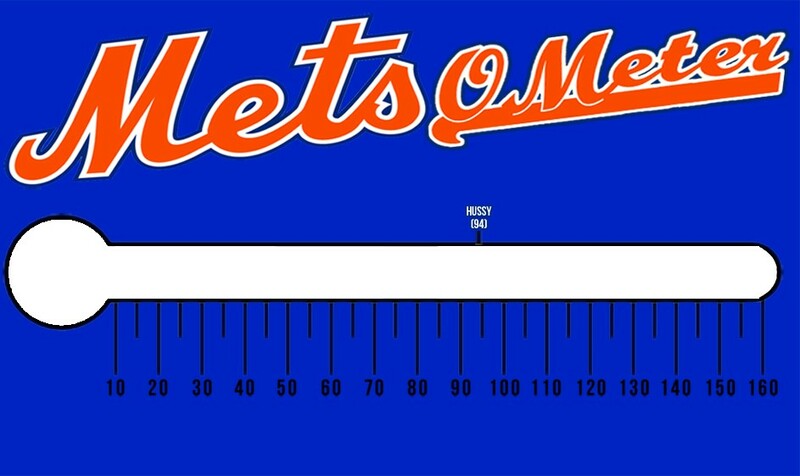 LGM. 88 wins. I think they are a better team than last year but I doubt they will be as lucky with injuries to major players and at the trading deadline. Particularly, I worry about Familia regressing or getting hurt. Who would replace him? If things go fairly well, I could see them win 93 but I have to pick one number and I pick 88. I think my own 94 is fairly risky. But even at that level I’ll still be able to pick holes in the Mets performances. For me a major factor was the weakness in the NL. I know the Giants will probably be pretty good, but the Cards are now struggling with injuries. I only see six decent NL teams and a bunch of rebuilding ones. 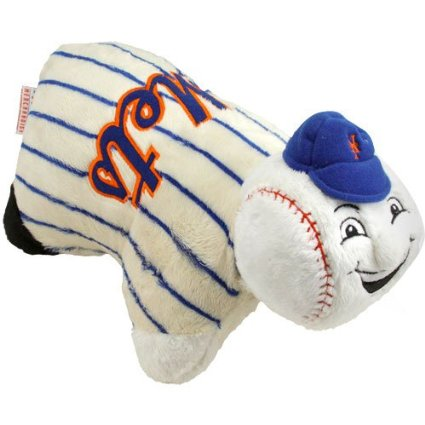 If I win, can I get the Smiling Mets Exorcist Pillow Demon sent to one of my enemies? If the team gets off to a good start and comes through in the clutch and pulls out some big wins, then we could have a repeat of 2006, when a confident vibe took over and the team outperformed its 91-win run differential to win 97. On the other hand, if the Mets get in a rut where they aren’t hitting in the clutch and a few errors lead to losses and the boos start and the tabloids pounce, then I would absolutely expect this team to beat itself by trying to do too much, and miss the wild card. I don’t have the guts to actually predict 83 or 97 wins, though. Reason tells me that over 162 games we’ll probably have a bit of both scenarios. Which one will dominate the story of 2016? It just depends on how the Mets finish. They could win 89 via a sweep over DC that seizes the division title from the Nats, or they could win 89 while getting knocked out of the division lead and losing their season to Kershaw, Bumgarner or Cole in the wild card game. Either way, I’ll predict 89 wins. It’s a cowardly prediction, basically matching most of the statistical projections, but I like my odds, and I really want that prize. I’ll say 93, and the Nats will push them to this total. Hi Steve. Pretty much agree with your comments, but I am much less confident than you guys, I have a feeling we may have a bit of a hangover from last year, so I am going to agree with R and go for 90 wins. Hope I am wrong and Steve is right!